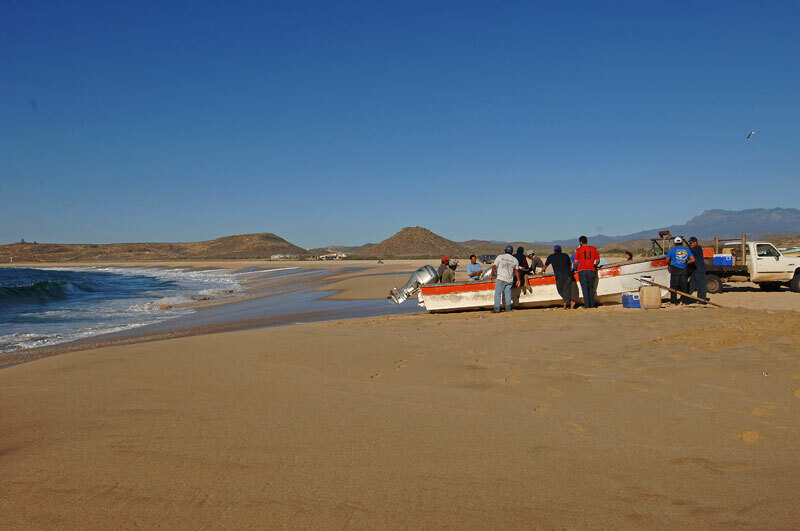 Agua Blanca Beach is part of the Todos Santos beach frontage, situated in the town of Todos Santos, within the municipality of La Paz, BCS, and protects an approximate 36 km of beach for the Sea Turtles. 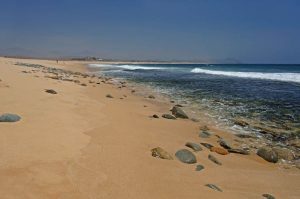 Playa de Agua Blanca en la playa de Todos Santos, localizada en la Delegación de Todos Santos, Municipio de La Paz, B.C.S. se protejen un aproximado de 36 km. Northwest of town, take Topete north through the palm valley (Callejon) follow the dirt road. Beautiful, yet watch for the waves and undertow when there is a big swell. This is best for surfing than for swimming. Agua Blanca campground signs. 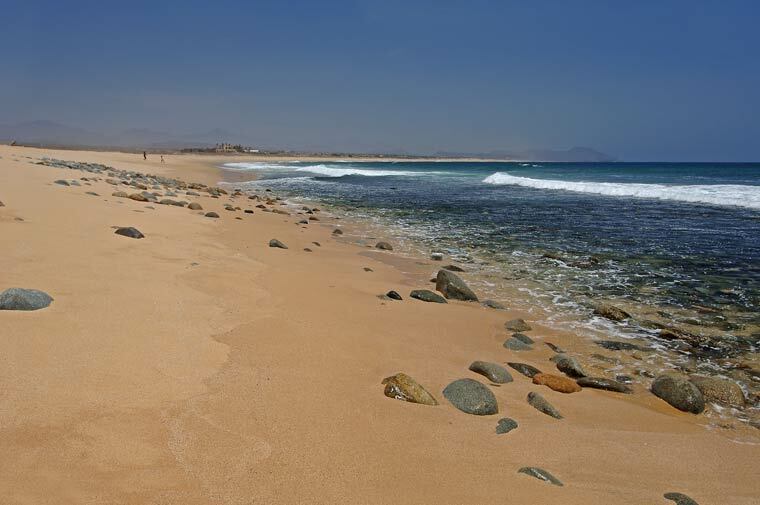 Stunning Beach, best for advanced surfing. Located just south of town at Km. 54, then west 1.5 miles to the beach. 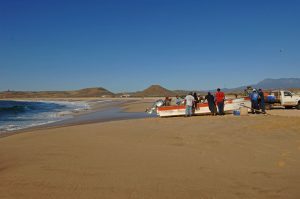 The closest beach to “downtown” Todos Santos, Playa Punta Lobos is used by the local fisherman to launch their boats.